The most powerful piece on the chessboard is the lone female, the queen. Yet when you consider the most powerful chess players throughout history, the names Anatoly Karpov, Garry Kasparov and Bobby Fischer come to mind. Traditionally, chess has been a guy’s game, especially at the high school level. But that’s changing dramatically at Richards High School in Oak Lawn, where the best player on this year’s team is a girl. Remarkable as that may be, her coach said the girl’s legacy won’t end with her impressive number of wins. Coach Manuel Montes said Aminah Garcia also has changed the face of the game, convincing girls of all ages to take up the mental challenge and to join the team. The result has been amazing. The team is well on its way to its 13th state title. That won’t be determined until January, though. 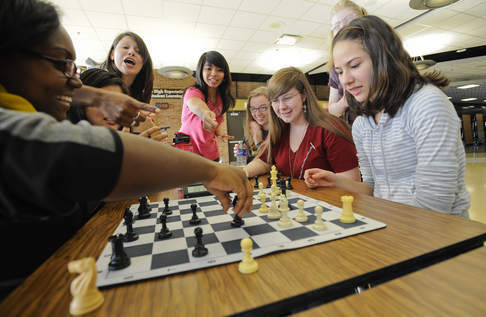 Meanwhile, if all goes according to plan this weekend, Richards will become the first school in Illinois history to put up an all-female, eight-board chess team during a tournament at Community High School in West Chicago, according to Montes. Montes, who has taken the Richards team to 12 consecutive state titles, said he expects the girls team to play hard and do well. “I know for sure they’ll have fun; the girls always have fun,” he said. In some ways, the girls have more fun than the boys, he said. So why have there always been more boy players than girls? Montes said he’s not sure. “This is definitely a once-in-a-lifetime thing to have this many girls on a team,” he said. 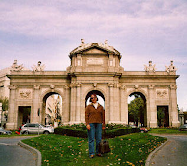 Montes said girls tend to prefer to move in more social circles, opting for activities such as drama, sports and clubs that offer a lot of social interaction. Chess is an individual’s game. Or so everyone thought. 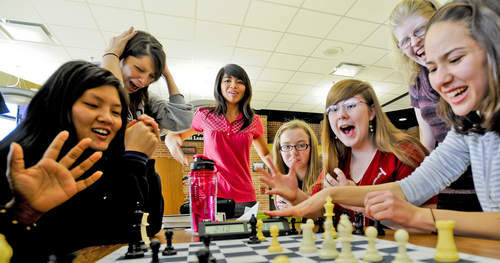 The female players at Richards have transformed the chess team into a more spirited, social club. That attracted more girls. Not only is Aminah one of the best players in the south suburbs, Montes said, she’s a charismatic leader. Jessica Zavala is one of those girls. 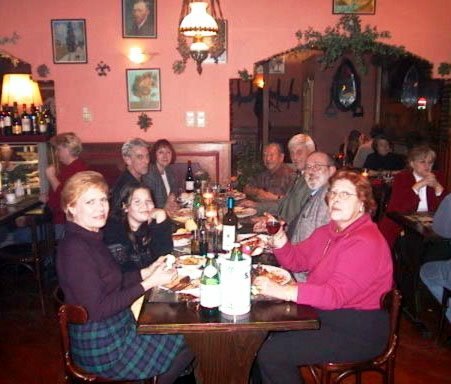 The senior, a resident of Oak Lawn, will turn 18 on Saturday. Winning all her games would be the perfect birthday gift. Jessica learned how to play from watching Aminah and her older brother, Imtiaz, now 19, face off over lunch in the cafeteria. “I’d go to their table to watch them. Then I started getting into it,” Jessica said. Now she loves the game. “It’s amazing. I never get tired of it,” she said. She also likes the camaraderie the girls provide each other. “We scream and chant; the guys think it’s funny,” she said. Kristina Huggins, a senior, has been on the team for two years. Montes said there’s a myth that a person has to be intellectually gifted to be a good player. “That’s not true. We’ve had AP (advanced placement) kids and special-ed kids on the team, all of them successful,” he said. More important than brains, he said, is a sense of dedication, a willingness to work hard. 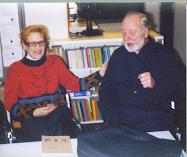 Most of the players learned the game from a family member. When Aminah and her brother were little, their parents took them to the library and checked out a bunch of books on how to play. They’ve been playing ever since. Beth Edmonds, a senior, has participated in all kinds of extracurriculars, including science club, cheerleading and Spanish club. “I like being on the chess team because I think we’re cooler than the rest of the school, because we’re underdogs. There aren’t many girls playing chess these days,” she said. And here these girls are, playing and winning.